the failures are caused by a solder bump that connects the I/O termination of the silicon chip to the pad on the substrate. In Nvidia’s GPUs, this solder bump is created using high-lead. A thermal mismatch between the chip and the substrate has substantially grown in recent chip generations, apparently leading to fatigue cracking. Add into the equation a growing chip size (double the chip dimension, quadruple the stress on the bump) as well as generally hotter chips and you may have the perfect storm to take high lead beyond its limits. 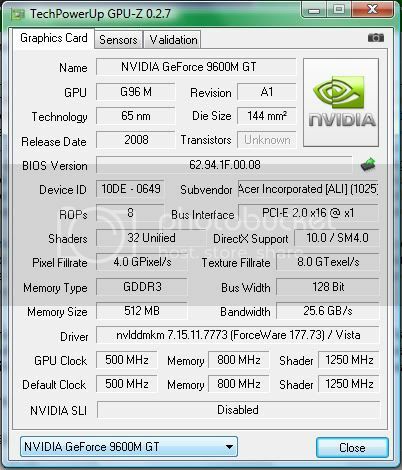 Apparently, problems arise at what Nvidia claims to be "extreme temperatures" and what we hear may be temperatures not too much above 70 degrees Celsius. Last edited by adison35; 4 Sep 2008 at 10:24:28. เอาล่ะครับทีนี้ จะเชื่อ benqที่ออกมาบอกว่าการ์ดจอไม่มีปัญหาแล้ว หรือจะเชื่อแหล่งข่าวจากตปท. ดีล่ะ ? All times are GMT +7. The time now is 15:01:21.